Dreams:"To become the beacon that will light up the sky"
Bio:As a boy Kazu was always intrested in finding a way to live life to the fullest.he found that as he started to partake in extreme sports, but the one that took interest in him was free running with his rollerblade.He has earned a reputation for being the fastest in the block earning him the title of Spitfire. 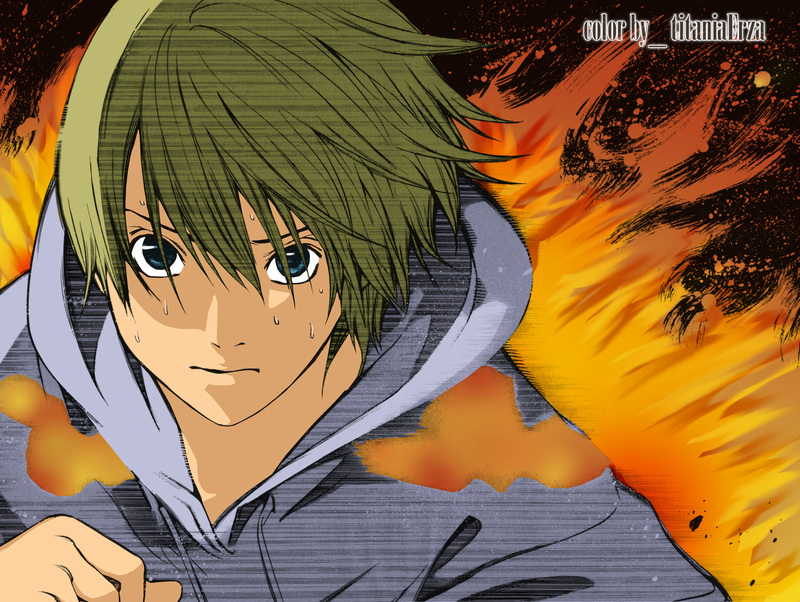 One day when he was returning from his daily running, he found smoke rising from his neighborhood he got there as soon as he can finding a strange humanoid like creature attacking his family.With no regards for his own safety he faced off the demon head on.As Kazu tried to divert the demon's attention to him it blasted a huge fireball at him hitting him directly, despite being hit Kazuhiro didnt get damaged from the attack as flames surrounded his body making him charge recklessly towards the monster throwing one punch causing it to be incinerated till it was no more. When he came to, he was the only one who knew about the attack as his family seems to have forgotten about it all.Thinking that it was all just a dream Kazu simply went on with his daily life but the memories of that moment felt real to him as if it really happened.A few months later Kazu's life started to change when he received a letter which reassured him that what ever happened back then was real.